Kenneth Fenton had a blood-alcohol level three times the legal limit when he ran a red light in Langford B.C., a suburb of Victoria, and hit Cst. Sarah Beckett's cruiser broadside. The man who killed a mother of two when his truck rammed into her RCMP cruiser while driving drunk and speeding has been sentenced to four years in prison and will face a five-year driving ban when he is released. The court heard during Kenneth Fenton's sentencing hearing that he had a blood-alcohol level three times the legal limit when he ran a red light in Langford B.C., a suburb of Victoria, and hit Cst. Sarah Beckett's cruiser broadside. Fenton pleaded guilty to impaired driving causing death and dangerous driving causing death for the April 2016 crash that killed the 32-year-old officer. 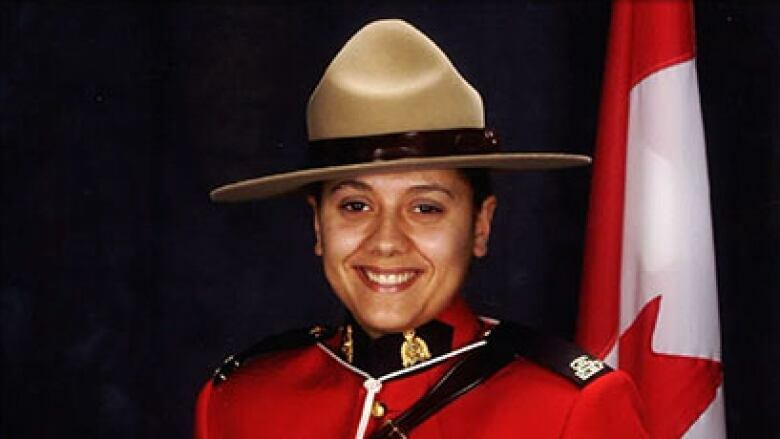 She was an 11-year RCMP veteran who had recently returned from maternity leave before her death. The charge of impaired driving causing death carries a maximum sentence of life in prison. In this case, the Crown asked for a sentence between three and five years. The defence argued three years in jail was appropriate. Judge Ron Lamperson acknowledged that some people will find his four-year sentence inadequate, but said he must follow the law as it has developed and was guided by the sentences in previous impaired driving cases in B.C. "There is no sentence I could impose which would bring Sarah Beckett back to life," he said. Some members of Const. Beckett's family were visibly upset as they left the court room, but Crown spokesperson Alisia Adams defended how the case was handled. "In this case, it is clear that the family, friends and colleagues of Const. Beckett have experienced a profound loss. We recognize their pain," she said. "But in approaching our task as Crown counsel, we have to look objectively and impartially at the evidence and what it can prove beyond a reasonable doubt." Speaking on behalf of the West Shore RCMP detactment, Const. Alex Berube said it's difficult for Const. Beckett's colleagues to find closure, but the sentencing allows them to move forward. "Ever since the first day, we have gone back in our police car, hit the lights and sirens and caught impaired drivers," he said. "That is what we do. We will do that in honouring Sarah Beckett." Fenton, 29, told the court at his sentencing hearing last week that he was sorry for his actions and that he would take the officer's place if he could. Beckett's husband told the court the hardest thing after his wife's death was telling their six-year-old son that mom wasn't coming home. Fenton, who has a young son of his own, is to serve his sentence in a prison on Vancouver Island. With files from Megan Thomas.